New wildlife health event reporting tool! SEANET’s amazing database manager, Megan Hines, actually does more than just deal with SEANET data and SEANET crises–yesterday, Megan let us know that the USGS has released the Wildlife Health Event Reporter, a public database to which anyone can contribute. Megan has been working on this (along with some other people, I suppose) for some time, testing it internally, and inviting members of the public to submit test reports. Now, the site has gone live, and is accepting real reports from around the globe. 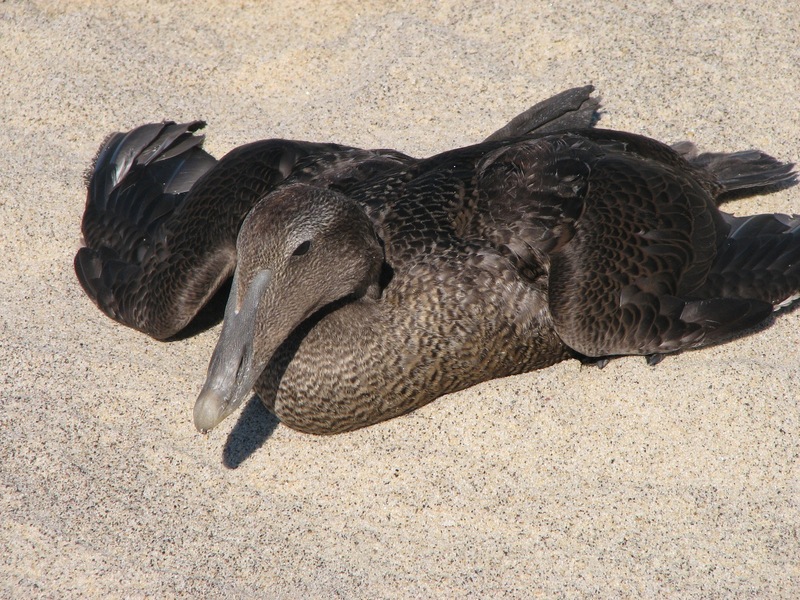 SEANET has already submitted a report regarding the Common Eider die-off on Cape Cod, but Seanetters should feel free to use the Reporter themselves, whether for something you see on a SEANET walk, or a sick or dead animal you see in your own backyard. The Reporter will accept reports of individual sick or dead animals, all the way up through massive mortality events involving multiple species. 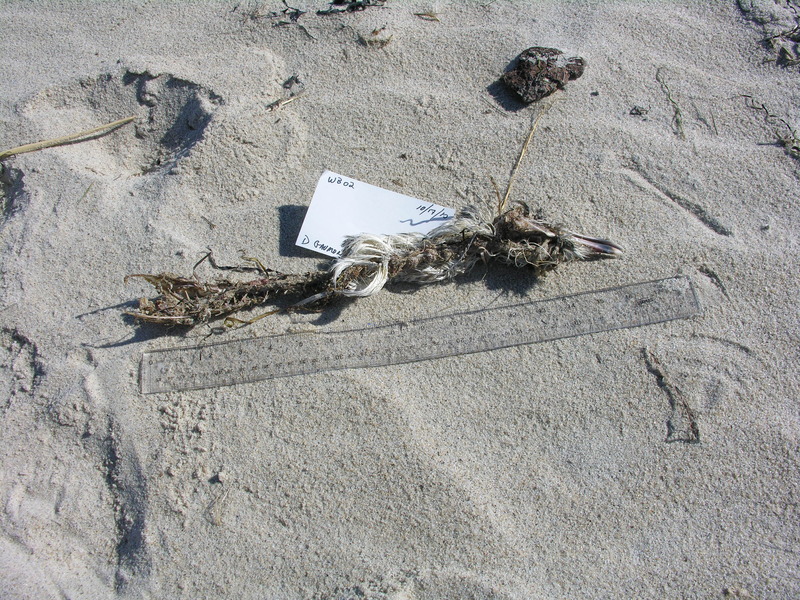 Many Seanetters have come across fish kills, horseshoe crab die-offs, stranded marine mammals or sea turtles, and various other unusual events. While not a substitute for alerting local wildlife authorities, the Reporter offers an additional tool for sharing your observations with national and international groups. We encourage you to use the tool, and let us know what you think. Kudos to Megan on the successful launch–we hope all goes smoothly! Not a bad response rate on this week’s quiz, and good variability in the guesses. First, a disclaimer: your blogger does not profess to be anything other than a self-taught student of dead bird identification, so the “answers” given here are by no means absolute, but only my own opinion based on the evidence. There was nothing left of Bird A aside from a head and trailing spinal column. Guesses ranged from immature Great Black-Backed Gull or Herring Gull to Glaucous Gull. Your blogger’s answer: sure. Based on what we have for evidence, really any of those are possible. The first item to consider is the culmen length, which Diana reported as 64mm. 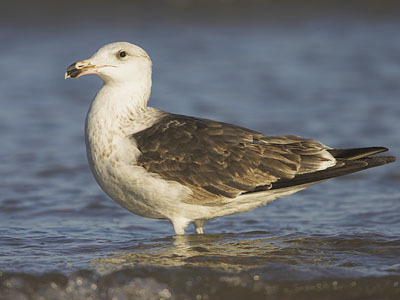 This places it right in the overlap between numerous species of large gull. The only other clue we really have here is the coloration of the bill, and this, unfortunately, is not much more enlightening. From what we can see, the bill is mainly pale with a band of black near the tip. 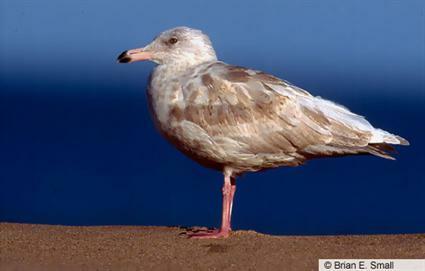 As you can see in the photos here, this coloration can occur in multiple species of gull. Had we more to go on–the coloration of the head, some of the body, or even one wing, we could get a lot farther with this i.d. But for the purposes of the database, we must be conservative and classify Bird A, unsatisfyingly, as “large, immature gull.” Sigh. 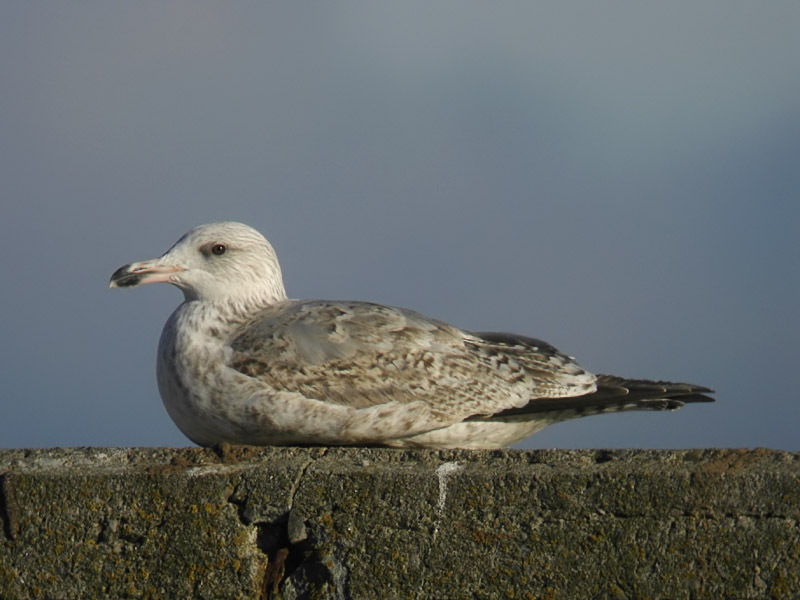 2nd-3rd year Herring Gull: bill shows pale tip, then black band, then pale pink-gray base. 2nd year Great Black-Backed Gull. Note the bill, which looks strikingly similar to the Herring Gull of similar age. 2nd year Glaucous Gull. More of the same in terms of bill color. Let’s see if we can’t do any better with Bird B. What we have to go on here is basically a gray wing with black primaries and rather large white mirrors (spots) on those primaries. Also, an all-white tail. And we know that the wing chord is only 32cm. Finally, I posit that there is a mangled, but bright yellow leg hanging off the pelvis on the right side of the photo. The leg aside (pun intended), let’s consider the wing alone for a moment. Ring-billed Gull wing (adult). Black primaries with prominent white mirrors. Laughing Gull wing (adult). White mirrors at wingtips can vary, but will generally be smaller than Ring-billed Gull's. Black-legged Kittiwake wing (adult). Note characteristic "ink-dipped" appearance to primary tips. These three species were offered as guesses on this quiz. From the photos here, you can see the variability in the amount of black on the primaries. Also, note that the division between gray and black is least defined in the Laughing Gull, more defined in the Ring-billed, and most stark in the Kittiwake. Bird B seems most to resemble the Ring-billed, and if you believe in the phantom yellow leg, that would seal the deal for Ring-billed Gull. One other note, without the yellow leg, and without the wing chord, this specimen would be basically indistinguishable from a Herring Gull, which has a nearly identical wing coloration. Bird A: Found this month by Diana Gaumond on Cape Cod. Culmen: 64mm. Bird B: Also found by Diana on the same walk. Wing chord: 32cm. 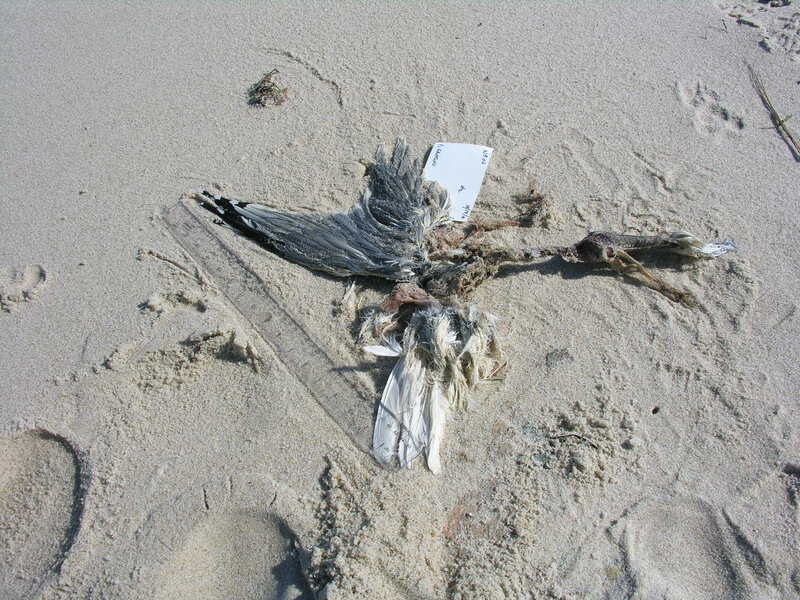 This dead bird quiz offers up a couple tidbits commonly encountered on SEANET beaches. As you know, partial birds can count as carcasses; as long as there is one measurable body part (bill, wing, or tarsus), the “bird” counts in our database. 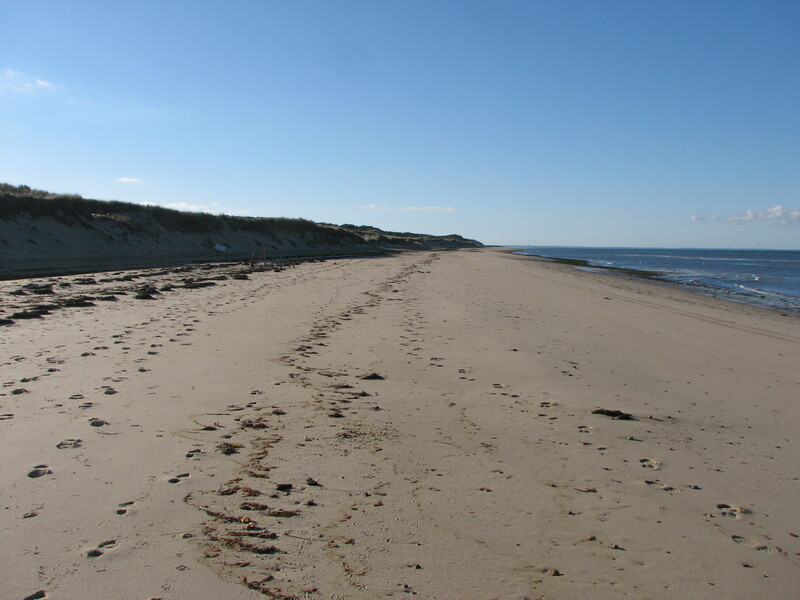 5 new SEANET beaches in northern MA! Thanks in large part to the legacy of our summer intern, Sarabeth, SEANET continues to add new volunteers in our own backyard here in Massachusetts. 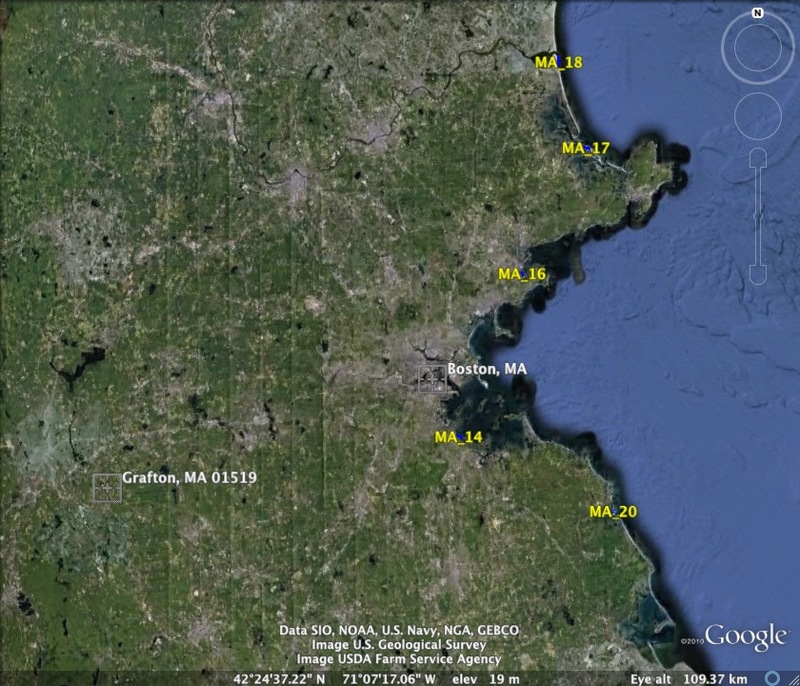 While our coverage on Cape Cod and along Buzzard’s Bay have historically been good, we have had a serious dearth of beaches on the north and south shores of Massachusetts, only 40 miles or so from SEANET central in Grafton, MA. Now, we are slowly but steadily rectifying that. This Monday, October 18th, our own Julie Ellis will continue working on our Massachusetts campaign. She will be presenting to the Eight Towns and the Bay Committee, a Local Governance Committee of the Upper North Shore of Massachusetts. Julie will be presenting to the Committee’s representatives, who will in turn take the information back to their membership. We hope to gain a number of new Seanetters from the interaction. Like penguins? Then you’ll like this. After all the bad oil spill news that we’ve featured on this blog in recent months, your SEANET blogger wants to share some relatively good news. 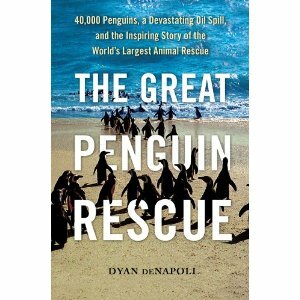 A new book by Dyan DeNapoli chronicles the rescue and rehabiliation of 40,ooo or so penguins. DeNapoli was penguin aquarist at the New England Aquarium when an oil spill hit the South African coast in 2000. She immediately volunteered to fly to the site and offer her rare expertise on penguin care and handling. Sounds like a good read to me, and might offer a hopeful persepctive to those of us despairing of seabirds’ chances in the face of the human juggernaut. More on the situation in Florida? Red icon marking Siesta Key: site of testing for hydrocarbon compounds in water and sand. 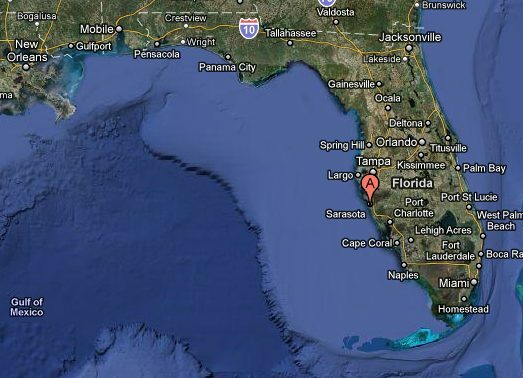 After my last post, I contacted a couple of our Seanetters on Florida’s Gulf Coast. While neither Phil Sorenson nor Melissa Buhler have seen any unusual mortality on their beaches, Phil did send a link to some testing results from a local citizen’s initiative in Florida. Testing the Gulf Water submitted both water and sand samples from Siesta Key in Sarasota. The samples were tested both for levels of oil and grease, (which were negative for all sand and water samples submitted) as well as Total Petroleum Hydrocarbons (TPH). TPH includes hundreds of compounds that originally came from crude oil. Testing for TPH will also detect mixtures of oil and chemical dispersants like the Corexit used in the Gulf spill. Sand samples from Siesta Key reportedly contained 173ppm TPH. This is in and of itself quite a high number, although the EPA has reported that the addition of Corexit to a petroleum sample can increase its TPH level ten-fold. EPA testing indicates that this elevation does not equate to a commensurate increase in toxicity, however. Thus, these results are intriguing, and at the least point to the issue of dispersant-oil mixtures settling into sand and sediment with unknown consequences. What impact this is having on Gulf wildlife, and particularly on the terns and gulls dying along Florida’s coast is no clearer for the addition of these test results, and SEANET will continue to diligently follow the story, with the help of Seanetters on the ground in the Gulf. All Seanetters should feel free to send along interesting links and local news. We are a far-flung, widely distributed group, and your SEANET blogger loves to get information from insiders like you all.